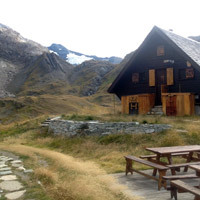 Discover a warm and friendly center near the park of Vanoise 50 meters away from tracks and at the heart of village of “vieux Val”. In the hollow of the valley of Prariond, the refuge enjoys a remarkable situation to observe the flora and the fauna and to practise the hike. 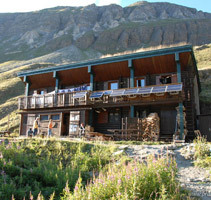 The refuge du Fond des Fours, at the heart of the national park of Vanoise, is ideally situated for the discovery of the fauna, the flora.